Chic Bird Vase…more spring looks! Country weddings are wonderful because they rely on tradition and creativity. Here we have made votives and pillar candles. We used birch bark and leaves. 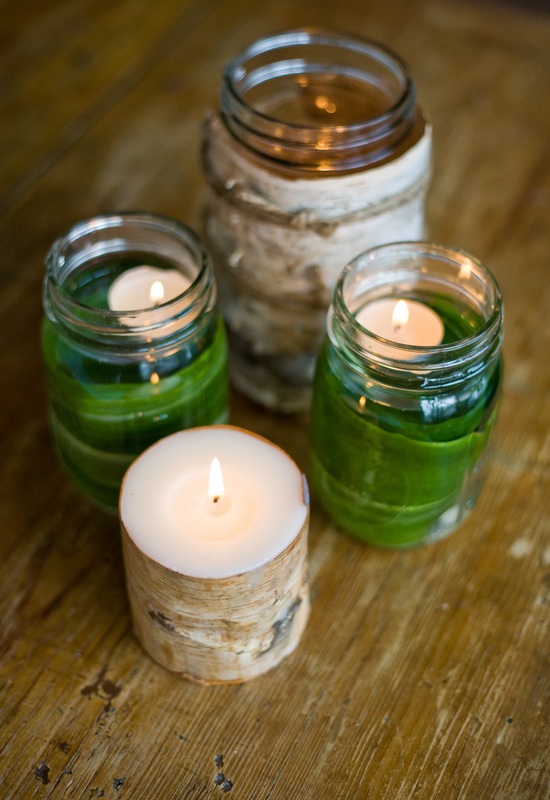 In one example we have wrapped the inside of a mason jar with a leaf added water and floated a tea light, our larger mason jar is wrapped with birch bark and we finished off the look with a birch bark pillar. Details are important in decorating whether it is for a wedding or for your home. 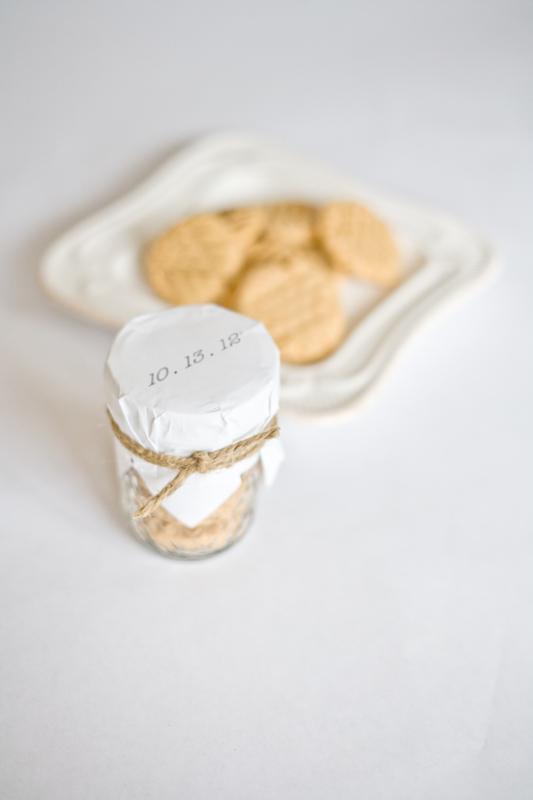 For this same country wedding we have homemade peanut butter cookies packaged in a jam jar with the date written on simple white paper and finished with twine. Preheat the oven to 375°F. Line 2 cookie sheets. Stir in the flour mixture until blended. Shape into 1-inch balls and arrange about 2 inches apart on the cookie sheets. Press flat with a fork making a criss-cross design, dipping into water between cookies. Bake, 1 sheet at a time, about 10 to 12 minutes. Let stand briefly, and then remove to a rack to cool. Thanks for sharing this recipe and great presentation idea! You are the queen of the garnish and presentation!